How will Artificial Intelligence change the practice of Intellectual Property law? 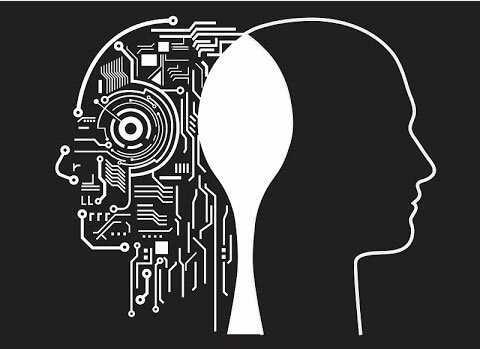 For the last four years CREATe (the RCUK Centre for Copyright and New Business Models in the Creative Economy) has organized the AIIP workshop series on Artificial Intelligence and Intellectual Property. During AIIP IV in Braga, the decision was taken to mark the end of the CREATe grant with an open essay competition on the underlying theme of the workshop series: “How will Artificial Intelligence change the practice of Intellectual Property law?”. TrademarkNow, providing AI support for trademark law since 2012, kindly agreed to sponsor the essay prize, and SCRIPTed, the peer-reviewed, student-edited, open access journal of law, technology and society at the University of Edinburgh, will publish the shortlisted papers. We invite contributions that discuss the various IP problems that AI creates, as well as contributions on the use of AI by the IP lawyers of the future. The winner of the competition will receive a Best Paper prize of €300 and have their paper published in SCRIPTed. There will also be a “Best Student Paper” prize of €200. All papers shortlisted after the blind review process will be published in the December 2016 issue of SCRIPTed. All submissions should be sent to Professor Burkhard Schafer (b.schafer@ed.ac.uk) with the words “AIIP essay competition” in the subject line. Candidates for the best student paper must have a student (undergraduate or postgraduate) as main author, and should state that they want to be considered for this prize (all submissions will also automatically be considered for the Best Paper award). A style guide can be found here: www.script-ed.org/submission-guidelines/author-guidelines. Deadline for submission is the 30th August. Image by Jorge Barba (CC-BY license). With respect to music, a second issue, beyond the status of AI as an author/creator is in play here. In understanding music as an abstract language, it becomes apparent that there are very limited melodic and harmonic combinations possible within a 7 note (modal), 5 note (pentatonic), or 12 note (chromatic) system. An analogy could be the limited number of words and sentences possible with a 5, 7, or 12 letter alphabet. Within this limited musical system, every possible melodic and harmonic fragment/combination has been conceived before, used in varying contexts – historically and stylistically. Ever expanding databases of public domain musical fragments may eventually be catalogued, readily accessible and used in legal defense against claims of copyright infringement. Uniqueness of integrated musical context may ultimately be the deciding factor in determining ownership/infringement vs. public domain variation. With the existence of immense databases of worldwide historical (public domain) musical fragments, it should not be difficult to find prior examples of any basic melodic/harmonic fragments being used in the generative variation processes of AI, preexisting in the public domain. “Copyright law excludes protection for works that are produced by purely mechanized or random processes, so the question comes down to the extent of human involvement, and whether a person can be credited with any of the creative processes that produced the work.” I wonder how the court would define ‘creative involvement’. Would this idea be extended to creative editing and arrangement of randomly generated AI fragments? And in practice, will a distinction emerge between human creative involvement as musical compositor (constructing a final sonic ‘image’ by combining layers of previously-created/computer generated material) vs composer – as poles in a ‘creative continuum’ between arranging/editing and innovative exploration/expression?